Next postthe 5th Panorama ! one that came immediately to mind is blind following of scholars. This is the first time I commented on your blog, although I have been following it for a couple of months. I think the statement has to do with everything people hold as believes. It explains why the great majority follow the religion of their parents and follow social norms of their own culture. As for the Middle East the issue is even deeper, which explains the slow progress in social change. Social norms also dictate a person’s reasoning process. It is a tough trick to develop a new set of analysis and conductive techniques. I liken that to the velocity required to escape earth’s gravity. thanks so much for bring that point up,, it is so true in our reality,, most of our scholars are somewhat isolated from many of our daily, (real) life so when they make any judgment about people’s circumstances or any other issue, they make it based on what they heard, not based on what they see! it is like saying cinema is Haram without even understanding what the cinema is ! so our needs for rationality is essential and extremely important! if you look at alquran, you will see that almost in every part, there is ayah asking people to be rational about what they believe. so rationality isn’t against a religion but rather against manipulating religion ! it is very interesting … exactly 2 days before you posted your comment here, i thought about you because i haven’t seen any comment of you in aysha blog recently! so i tried to track all the comments that you post on all other blogs,,, they are very interesting and significant. sometimes, i wish that we have two of you 🙂 at least, each bloggers will get the benefit of your wide knowledge and your unique ideas. i am really curious if you have your own blog! that would be really great! as for the point you brought up, i totally agree..
many of my friends get upset when i said that we are living in a society where the religion is being inherited! if we were born in Christian family, we would be christian. everybody don’t like to accept this fact and yet nobody can disapprove it ! our problem with inherited religion is that it mixed between tradition and the core of religion and it appear as if they are both one! the complication of tradition is that it has been created on a specific situation for specific people in specific time! when situation, time, and people change, then the tradition and all society norms has to change and start adapting the new circumstance! talking about this topic, will never end! so i will just leave empty space here, maybe someone will come to fill it out! I really enjoy your blog. You always pose very interesting questions. You can count me as a reader. I have thought about starting a blog, but I just do not have enough time to make the commitment. I travel a great deal for work. I know when I start one it will be controversial and I will need time to give the discussions its due. So for now I am just a commentator. You can find me in many places like American_Bedu, Crossroad Arabia and Aysha’s blog. I have setup a temporary email wqwq100@gmail.com. If you would like to keep in touch, email me there and I will reply with my real email (I do not want to post my real email in a public forum). many of our facts were lies but were decorated so that it can look as if it is the truth! sounds like Ralph Waldo Emerson. I consider this writer my mentor. 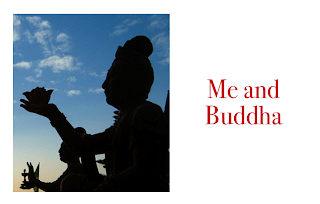 he took most of his principles from Hindu teachings, and Buddhism. He used to be a priest, but he deserted his faith (Unitarianism). instead, he worshiped god through meditation, implying that religions have been distorted, and the only thing you can do now, is trust your intuition, and worship god the way you think is right.